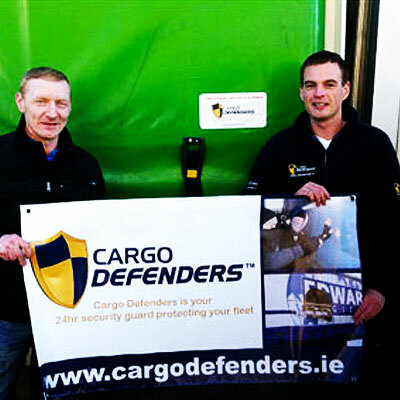 A new Donegal based business Cargo Defenders Ltd provides the logistics industry a unique security solution called ‘Cargo Defender’ this is an innovative alarm based security system for curtain side and box trailers which monitors and protects the cargo from all possible access points. Left: Eamonn McCaghey of East Coast Suppliers Ltd with Aidan Robb, Cargo Defenders. The Cargo Defender system monitors and protects curtain sided trailers at all access points thus preventing cargo thieves and illegal immigrants from gaining access to your trailer. The system turns a standard curtainsider into a high security trailer/truck. Its main feature is the innovative smart trailer curtain tamper sensors which are fitted to the inner side of the trailer curtain. Should a thief attempt to gain access to the cargo by cutting the curtain – the inbuilt sensors will immediately detect the slash and trigger the security response system. Other system features include `curtain open sensors’ which detect attempts to open the trailer curtain. Together with `back door` and `tail-lift open sensors` each of which have been designed to detect and alarm any unauthorised attempt to gain access to the trailer. Once triggered the system sets off a high decibel alarm to deter the intruder. It also sends an alert to a list of pre-programmed contacts. Finally the system sends an immediate notification to the client via their online security platform – showing exactly where and when the incident occurred. This information is logged and saved on the system platform and can be accessed from any computer or smart phone with internet access; allowing fleet owners to monitor the location and security of their entire fleet in real time. The Cargo Defender security system is ideal for fleet operators who transport any form of cargo in curtain side or box trailers that may be attractive to thieves. The loss of cargo can cause a lot of hassle and paper work along with damaging the reputation of the company. The cost of replacing the stolen cargo can cost thousands and the sale of the stolen goods in the black market can do a lot of damage to a company’s brand and even put lives at risk for example the sale of stolen pharmaceuticals which were not stored or handled correctly. The Cargo Defender cloud based platform is a very useful tool for companies that need to record the trailers activities for auditing purposes. The platform records and logs all the trailer/trucks activity including where, when and how long a trailer door our curtain was open, users can set alerts which will alert them if a trailer door was opened outside of set locations. The platform also gives fleet managers the ability to remotely arm and disarm the security system from there laptop or smart phone. 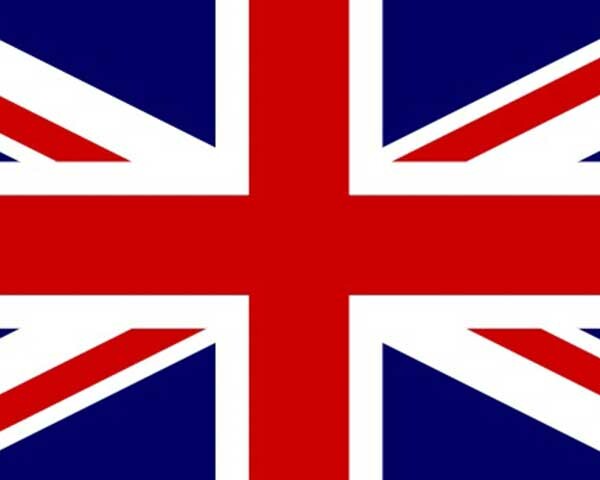 The product was mainly designed for the UK and European market as cargo crime is a multi billion euro problem across many EU countries. 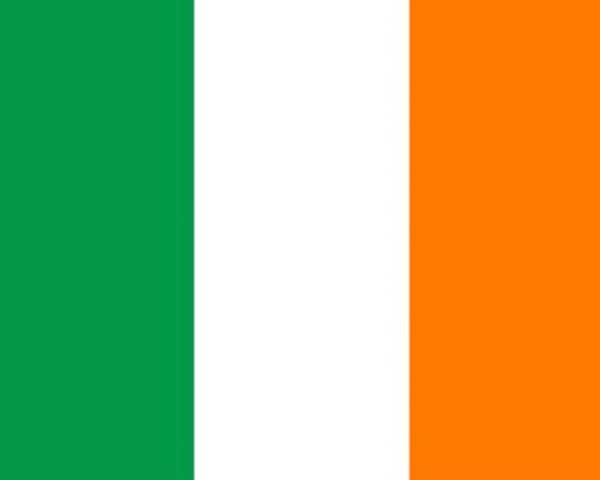 Ireland is not immune to cargo crime. Cargo Defenders recently provided the system to East Coast Suppliers Ltd, a County Louth based company, who fitted out their entire fleet with the new Cargo Defender system. East Coast Suppliers Ltd operate a modern fleet of curtainsiders and delivers full alcohol requirements to off licences, pubs, restaurants and hotels throughout Leinster and the surrounding east coast area. An organised gang was targeting the fleet and stealing boxes of spirits. Eamonn McCaghey the owner of East Coast Suppliers Ltd said “these criminals are highly organised and often target spirits as they are the most lucrative in the black market”. The company was being hit a number of times prior to the installation of Cargo Defender, and while further attempts were made shortly after the installation the thieves did not succeed due to triggering the alarm. The criminals have since stopped targeting East Coast lorries as they have been fitted with Cargo Defender badges highlighting they are being monitored. We had an ongoing issue with alcohol being stolen from our curtain siders during deliveries. Since installing the Cargo Defenders System to our fleet we have solved this problem.